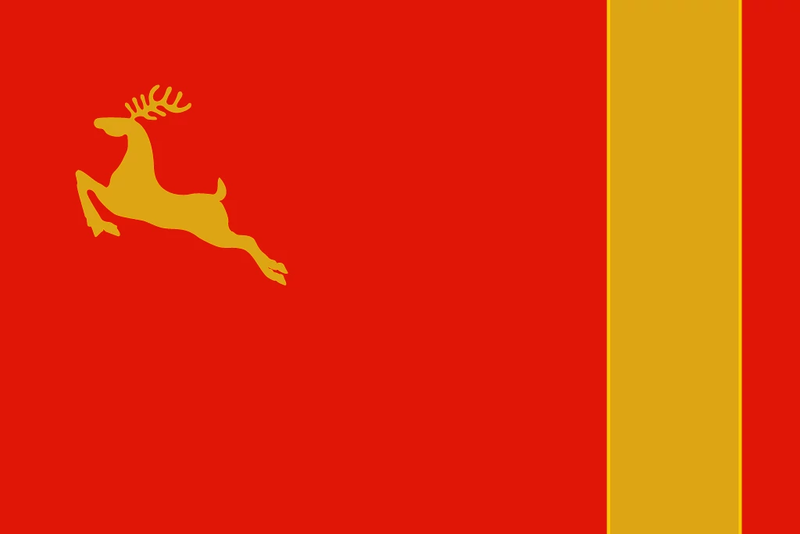 The Union of Yuktobanian Republics (Сою́з Юктобаний Респу́блик/СЮР​), alternatively Yuktobania (Юктобани́я),  occupies the northern half of the Verusa continent and is the largest country in the world by landmass. 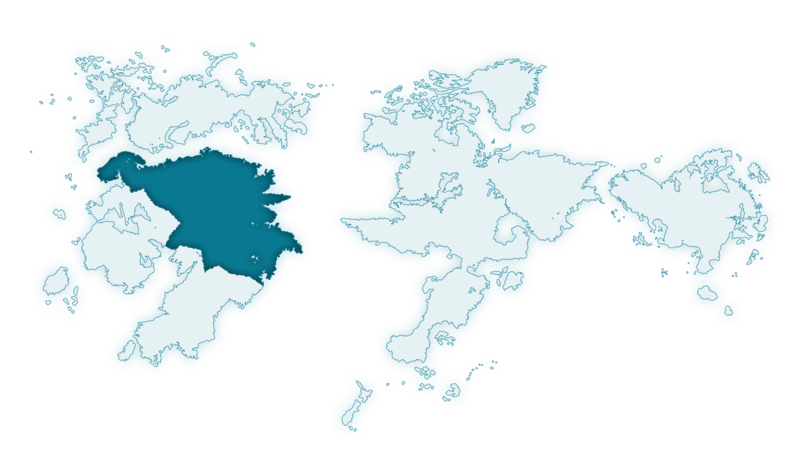 Stretching from the equator to the Fuscum Sea and with great variety in elevation, many climate zones are present in Yuktobania. They include jungles, rainforests, deserts, and temperate zones. Yuktobania was the Osean Federation's primary geopolitical rival throughout the 20th Century's Cold War. Though this conflict never came to blows, both nations regarded each other as "potential enemies," and their allies often fought with one another in proxy wars. Belka's aggression against its former territories in 1995 prompted collaboration between the superpowers, with Yuktobania supplying intelligence assets and airpower to the Allied Forces. Both nations continued to pursue detente after the war, with Osea and Yuktobania pledging to work together on arms control measures, space exploration, and other transnational political agreements. However, ideological and geostrategic tensions persisted. Their allies continued to fight proxy wars, and Yuktobania even provided aid to extremist factions in Erusea following the regime's defeat in 2005. Despite the official warming of relations, Yuktobania continued development of strategic weapon systems, such as the Scinfaxi class submarine, which was incomplete at the end of the Belkan War. Throughout the Cold War and into the 2000s, Yuktobania based its foreign policy on realpolitik rather than pure ideology; Erusea's fascist government was one of its satellite states  and Yuktobania provided arms to the Free Erusea movement after the Continental War. The ruling party also denounced ethnic independence movements in Belka, supporting Belka's fascist putsch as a bulwark against Osea. However, Yuktobania later turned on Belka as its destabilizing nature became evident. The collectivized economies and single-party rule of Yuktobania and its allies stood in ideological opposition to the prevailing democratic capitalist world order championed by Osea throughout the 20th Century. During the detente following the Belkan War, Yuktobania appears to have abandoned some of its economic policies and authoritarianism to better integrate with the international community. It affirmed its commitment to implementing a market economy and democratic reforms at the Arkbird Conference in 2008. In 2010, however, Prime Minister Nikanor, who favored better relations with Osea, was taken captive in a palace coup while the country was ruled by an anti-Osean junta. During the Cold War, Yuktobania placed a greater emphasis on offensive strategic assets than its adversaries. It responded to Osea's SDI anti-nuclear defenses with the arsenal ship concept that was later realized in the Scinfaxi class submarine. In the late 2000s Yuktobania's military strength was remarkable even compared to other superpowers. It retained a robust army, navy, and air force capable of conducting operations across the Ceres Ocean. Cinigrad: Yuktobania's capital city, and the location of fierce urban fighting in December 2010. Okchabursk: A major naval port in north-east Yuktobania, where the first Scinfaxi class ballistic missile submarine was constructed. Documents declassified in 2020 revealed that it was the intended target of a thwarted Belkan nuclear attack in December 2010. Bastok Peninsula: A tropical landmass jutting out into the Ceres Ocean near the equator. As Yuktobania's closest territory to Osea, it is lined with defensive fortifications. These fortresses were ultimately unsuccessful in warding off Osean invaders during the Circum-Pacific War. Jilachi Desert: An arid desert that was transformed into fertile lands through massive irrigation projects during Yuktobania's communist period. Yuktobania also extracts large amounts of oil from the region. Glubina: A forested tundra in central Yuktobania. Its subarctic conditions, despite its proximity to the equator and warm bodies of water, are a result of its mountainous terrain. The Yuktobanian Army operated an internment camp in the region that housed captured OADF pilots during the Circum-Pacific War. Duga: A dense jungle in southern Yuktobania with prominent mesas towering over the river that carved them. Subterranean tunnels under the mesas are used as arms depots for the Yuktobanian military. Sonza: An arid region in southeast Yuktobania, it contained a strategically vital weapons manufacturing complex that was defended by a robust radar defense net until both were destroyed in the Circum-Pacific War.